Turkey Breast, Turkey Broth, Salt, Dextrose, Carrageenan, Sodium Phosphate, Sodium Erythorbate, Sodium Nitrite. FOODSERVICE REWARDS ELIGIBLE. This whole muscle, three-piece, skinless, hickory smoked turkey breast is perfect for buffets or slicing by the pound. 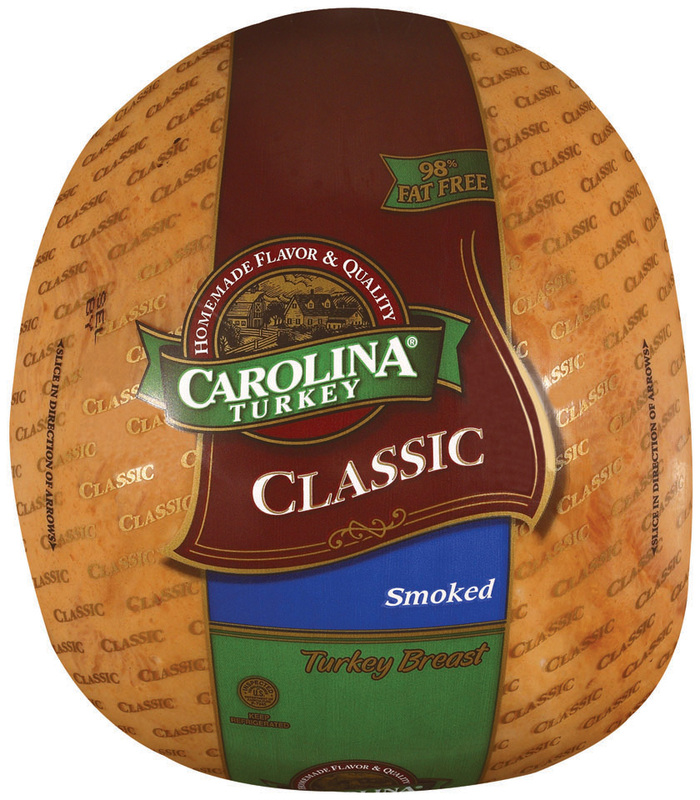 This classic breast contains carrageenan to ensure consistently moist product and maximum yield. Made from whole muscle for superior texture. This product contains carrageenan to increase moisture retention to improve slicing versatility. Product is traditional dome shaped and smoked for efficient slicing yield. This whole muscle, three-piece, skinless, hickory smoked turkey breast is perfect for buffets or slicing by the pound. This classic breast contains carrageenan to ensure consistently moist product and maximum yield. ABOUT SAMPLING OUR Classic Skinless Smoked Breast, 2/8.75-9.25 lb. Ca.